What is this software used for? Forex copiers are used mostly by Forex account managers. 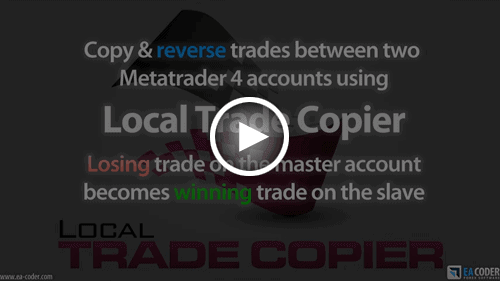 The main purpose of MT4 Trade Copier is to copy trades from the master Metatrader account(s) to a number of slave Metatrader accounts. This allows the Forex trader to focus on trading only the master account. Trade copier software does the rest i.e. copying of trades and performing trading actions on slave accounts. Furthermore, all MT4 accounts can be hosted on a VPS server while master accounts can be traded from any computer anywhere in the world. Is Forex copier software useful only for account managers? Absolutely not. Such software can be used by retail Forex traders as well. If you have access to a master MT4 account, you can copy its trades to your account. If you have multiple MetaTrader 4 accounts and one of them is subscribed to receive 3rd party Forex signals, it can act as a master account and you can copy all its trades to other MT4 accounts you own. 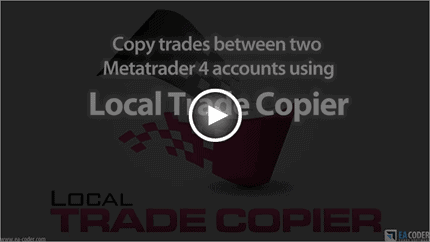 The trade copier makes use of two expert advisors on the MT4 platform. You just have to run the server EA on one platform and the client EA on the other one. The client EA will automatically copy the trades that the server EA sends. What features should an MT4 account copier have? Some money management options should be included in MT4 account copier software. A trade copier should allow you to use the same risk settings like the master account. It should have a percent or lot size. The software should allow setting the maximum number of trades allowed. This is to protect slave accounts in case the master account goes berserk and opens too many trades. Forex copier should allow setting the currency pair suffix or automatically detecting it. Many Forex brokers use non-standard currency pair names like EURUSDfx or GBPUSDFXF. The copier software should be able to handle that. Advanced trade copier software usually has more filters including filtering of trades by the master account number, trade comments, magic number, and more. Email alerts and push notification features are very useful as well. These options in a Forex copier help you get instant alerts about errors, so you could act fast and fix them. The MT4 trade copier we offer has many such advanced features and more, and is the best choice for retail Forex traders, Forex account managers, and also for Forex beginners. Can Forex copier software reverse trades? Yes, it is possible using the software reverse mode. In reverse mode, it opens BUY trade instead of the SELL trade and vice versa. Such an option is helpful when you are losing out on EA and want to try reversing its trade to see if it will make a profit. You should look for EA that closes trades at a minimum distance of 30 pips; otherwise the spread on a reversed trade may kill your profits.